eBay might be a good place to pick up a bargain, but there's at least one sale that might get reversed in the near future: the founders of Skype are allegedly looking to get their baby back. As reported over on The New York Times, original founders Niklas Zennstrom and Jenus Friis are looking to get the Skype voice over IP service back under their control. Having sold the company to eBay back in 2005 for a cool $2.6 billion – $3.1 billion when you count the bonus payouts the pair got after the deal had gone through – you'd think that the pair had earned the right to sit back and relax. Despite the money, however, the word is that they want Skype back – and have been approaching venture capitalists in order to secure funding and make it happen. 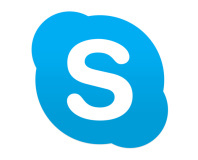 The purchase of Skype by eBay in 2005 came as something of a shock to the tech world: the two companies never seemed as good a fit as when eBay purchased electronic payment specialist PayPal, and the best to come out of the deal was integration with the eBay auction site so buyers could communicate with sellers via Skype. Zennstrom and Friis could have picked a good time to buy, too: despite the service having grown to a massive 405 million members and enjoying a turnover of $145 million in the last quarter of 2008, eBay chief executive officer John Donahoe has been hinting heavily that the purchase may have been a mistake and that he could be convinced to sell if the price was right. Although other companies are sniffing around Skype, Zennstrom and Friis have one last trick up their sleeve: another of their companies, Joltid, is responsible for the peer-to-peer technology at the heart of the Skype software – and it just cancelled eBay's licence. 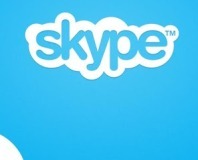 Without the licence, Skype – in other words, eBay – is in breach of the licensing agreement between the two companies. This alleged breach of contract would magically disappear should Zennstrom and Friis pick Skype back up, but would be a real poison pill for any other companies looking in to a purchase. Do you think that eBay should take this opportunity to rid itself of a hasty acquisition, or does the company just need to figure out better ways to integrate Skype with its existing technologies? Share your thoughts over in the forums.